From the Camargue to the Eastern point of the Pyrenees ... From the wild areas of the high plateaux to the Mediterranean coast, Languedoc-Roussillon is a region with a thousand facets, and as many different ways to enjoy yourself. From the Camargue to the Côte Vermeille (Vermillion Coast), the spectacular coastline of Languedoc-Roussillon stretches for 150 miles along the Mediterranean Sea. It has some of the finest French beaches, a warm climate and clear waters that are thought to promote health: a perfect combination for family vacations. A mix of family holiday resorts, health spas and ancient fishing villages cluster along the shore, backed by a hinterland of untouched natural beauty. This is a land where traditions are still part of everyday life. Ancient crafts still thrive in the beautiful region known as the Camargue: sauniers produce salt, sagneurs cut reeds for thatch and mattresses, manadiers herd bulls and choose the best for the local bullfights. In Sète and Palavas you can watch teams of fishermen jousting with each other from their boats in water tournaments. In the ancient fishing ports, from Grau-du-Roi to the Côte Vermeille , the pace of life has barely changed for centuries. Languedoc-Roussillon has some of the best French beaches: more than 40 of them fly the blue flag, the European award for clean bathing water. Regattas, cruises, fishing contests and wind surfing events draw the crowds to lively modern resorts such as Port-Camargue, Europe’s premier sailing resort, la Grande-Motte, with its bold architecture, and Cap d’Agde, Gruissan, Port-Leucate, Port-Barcarès and Saint-Cyprien. 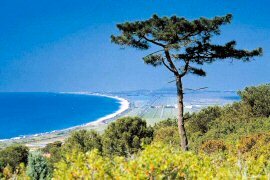 To the south, the pine-clad slopes of the massif de la Clape rise above the resorts of Gruissan and Leucate. The beaches here are very popular with windsurfers. There’s a lot of rivalry between Canet-en-Roussillon and its neighbour, Saint-Cyprien, to be the top sporting resort in the south of France. They both offer a wide range of activities: sailing, watersports, swimming, diving, tennis, golf, and bass fishing…ideal for family vacations in the sun. The sandy coastline of Languedoc-Roussillon stretches as far as Argelès-sur-Mer. Then the wild, rocky headlands of the Côte Vermeille rise out of the sea. Great painters like Matisse and Picasso once found inspiration in the beauty and light of ports such as Collioure, Banyuls, Port-Vendres and Cerbère. The grandeur of this coastline still inspires visitors today. Between the Petit Rhône and Grau du Roi, the landscape of the Petite Camargue has been shaped by its river delta. This is a land of wild horses and bird sanctuaries. This family holiday resort is enclosed by the blue waters of the Mediterranean Sea and the cool waters of a lagoon. Port Camargue is the largest marina in Europe, with 5000 moorings. a health spa, and a seaquarium. Events: Fishing Festival in June; Jazz Festival in July; Festival of Comedy Theatre in November. This beautiful, unspoiled coastline has long wide sandy beaches, and seaside lagoons alive with pink flamingos. The wild and rocky coastline of Roussillon was baptised the Côte Vermeille (Vermillion Coast) in the 19th century, because of the deep red colours reflected by its rocks and cliffs at sunrise and sunset. The coast is dotted with picture-postcard villages like Collioure and Banyuls, and is famous for the beauty of its underwater scenery. The Languedoc-Roussillon coast has 22,000 marina berths in 25 harbours, including the vast marina at Port Camargue, the largest in Europe. From the Camargue to the Côte Vermeille, the harbours are busy all year round, with everything from family regattas to stages of the Sailing Tour de France and Clairfontaine Trophy. Take a barge holiday or gentle motor cruise through Languedoc, for one of the most enjoyable ways to discover the region. 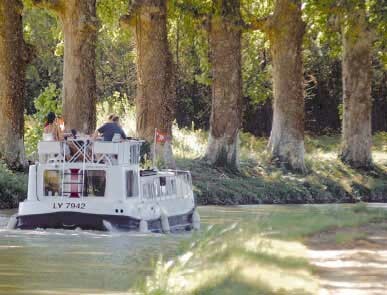 On a boating holiday on the Canal du Midi you can explore nearly 150 miles of navigable waterways, choosing from a wide range of accommodation and boating holidays, from barge boats converted into floating hotels to modern cruisers. The Canal, built in the 17th century, is also a UNESCO World Heritage site and flows through a region steeped in history. You’ll travel at the leisurely pace of about 5 miles an hour, with frequent stops to pass through the locks or explore the surrounding area, visit the local sights, or take a walk or cycle ride along the towpaths. At the end of the Canal du Midi is the Canal du Rhône à Sète and the Canal de la Robine, which links Narbonne to the sea. With its oysterbeds and channel to the sea at Sète, the Thau Lagoon could be the beginning or the end of your journey. Above the Le Malpas tunnel, not far from Béziers, the Ensérune hill fort (Oppidum) was occupied from 800 BC. The Ensérune museum contains relics of Iberian, Greek, Celtic and Roman civilisation, while the hill fort itself is an amazing example of ancient urban architecture, with panoramic views over the surrounding area. From the Ensérune site you can see the circular pool of Montady, drained in the 13th century. Narrow channels carry rain water into the centre of the pool. 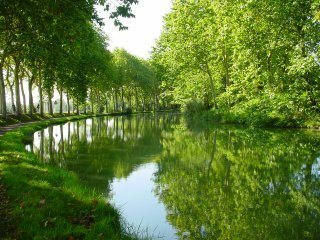 From there, the water travels back in the opposite direction, passing under the Canal du Midi and the railway tunnel, and flowing out into the valley. The Canal du Midi runs through western Languedoc, while the Rhône-Sète Canal traverses its eastern side. The landscapes they cross are varied, beautiful and dotted with historic sites. The Languedoc towns along the route are also worth exploring. Here are some ideas. The Cathar castles are some way from the canal itself, but are worth the detour. The imposing castles are spread out along the line of the canal in the Corbières and Minervois regions. Between the hills that enclose it, the visible landscape is gentle and rugged by turns: green moors fade into the distance, softening the outlines of hills, and the more arid Aubrac plateaux rises from blocks of volcanic basalt. The towns and villages of the region are well worth exploring: the rural holiday centre of Chanac, La Canourgue, known as the ‘Venice of Lozère’; the medieval town of Mende, with its cobbled, narrow streets and stone-tiled roofs, where the cathedral and three-arched gothic bridge tower over the river Lot. Between the Sauveterre and Méjean plateaux, the river Tarn descends from the slopes of Mont Lozère, carving a staggeringly high gorge - the 'Gorges du Tarn' - across one of the most beautiful and sparsely populated regions in the south of France. 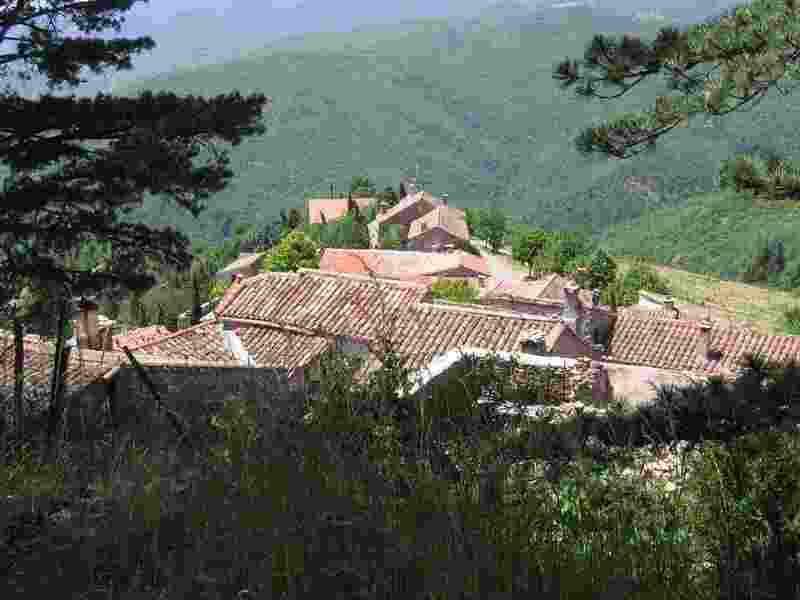 - Ispagnac, ‘the garden of the Lozère’, with its magnificent 12th century church; the ‘Point-Sublime’, which at more than 400 metres offers superb views of the gorge. Castles, gothic bridges, fortresses and villages are also dotted along the course of the river. Every summer, the towns and villages come alive with colour and music, during the festival of the Tarn Gorges and Valley. Untouched and unchanged : The mountainous region known as the Cévennes is remarkably diverse. It’s a land of rocks and forest, rushing waters and dry valleys, bleak in places, and lush in others. In the north are jagged crests between mountain-tops, ancient mountain paths, and the peaceful Méjean plateau giving way to fertile grassland and valleys. In the south, the landscape becomes more Mediterranean, with forests giving way to terraces green with vineyards, olive groves and mulberry bushes. The region is an important conservation area. 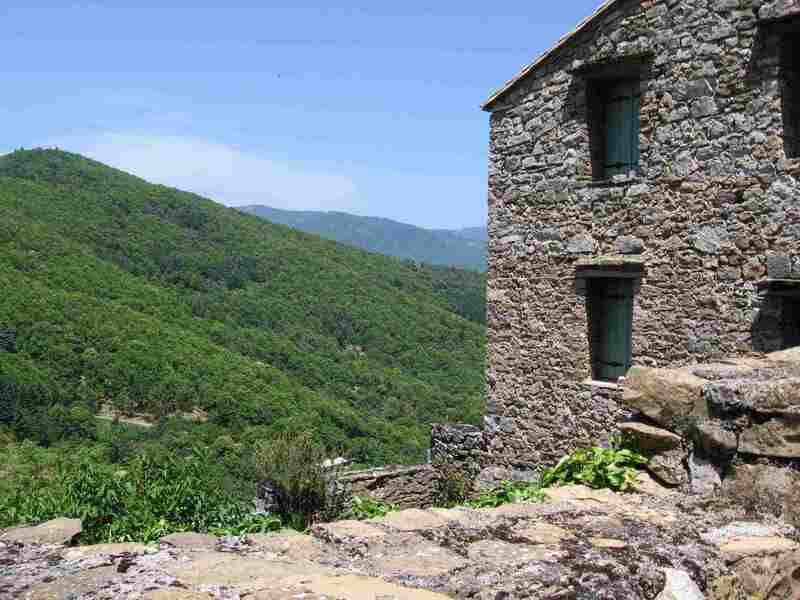 The Cévennes National Park was classified as a ‘World Biosphere Reserve’ by UNESCO in 1985. More than 200 species of flora have been found here. Wild boar, stags and roe deer stalk the forests; wild vultures fly above the dramatic landscapes. The soil is fertile and unpolluted. For centuries, chestnut groves have provided food for the locals. 19th century Saint-Jean-du-Gard was the major centre with its 23 spinning mills. Almost all of the hamlets in the three main valleys shared in the prosperity. Throughout the region’s towns and villages, traces of the past are clear to see. A rich mixture of influences - from French Protestant to the French Résistance - have contributed to the colourful history of the Cévennes. There are some fascinating museums which offer a genuine insight into this region, such as the museum of the Cévennes valleys at Saint-Jean-du-Gard, and the Museum of the Desert at Mialet, which chronicles Protestantism in the region, and is named after the so-called ‘desert’ period for the Protestant faith (1685-1787), between the Edict of Nantes and the Edict of Tolerance. The Lac du Salagou is an artificial lake with a surface area of nearly 2000 acres and a circumference of about 17 miles, not far from Clermont-l'Hérault. Originally built to provide irrigation, Salagou lake is now a leisure site and tourist attraction. Majestic red rocks (the so-called “ruffes”) tower above the waters, and there are great opportunities for mountain-biking, fishing, horse-riding and rambling. Stop off at La Lieude and discover the footprints left behind in the clay soil nearly 280 million years ago. The Catalan Pyrenees rise majestically to the peaks of The Canigou (2785m) and The Carlit (2921m).With its varied landscapes, the mountain range appeals to climbers, skiers, walkers and anyone who enjoys nature in its wild and untouched state. Rivers, streams and waterfalls plunge from high peaks. From the Canigou, you’ll get a unique panoramic view over the mountains and Mediterranean. The Pyrenees region has an exceptionally sunny climate, which means you can enjoy the mountains all year round. In winter, 12 mountain resorts offer downhill and cross-country skiing, ski-boarding or monoski. For a change of pace, you can go snow-shoeing or sledging with dogs in the magnificent mountain forests. The mountains of Languedoc-Roussillon reach heights of almost 3000 metres in the Pyrenees , with the peaks of Canigou (2784m) and Carlit (2921m), and more than 1500m in the Massif Central, topped by Mont Lozère (1699m) and Mont Aigoual (1565m). The mountains of Languedoc-Roussillon are within easy reach of the large cities of France and Spain. On the A75 Autoroute you can get from Paris to Lozère or the Cévennes mountains in just 6 hours. The A9 Autoroute, the RN 116 trunk road and the Puymorens tunnel take you straight to the Catalan ski resorts from Toulouse in less than 3 hours, and from Barcelona in two and a half hours. 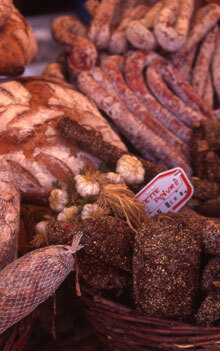 Languedoc-Roussillon, renowned for the diversity of its agricultural produce, boasts a delicious and authentic cuisine. Based on olive oil, garlic and basil, this cuisine is typically flavoured with herbs of the Provencal garrigue (scrubland) such as thyme, rosemary, bay, savory. Cheeses, wines, honey and fruit complement the rural and coastal specialities. Sampling the cuisine of Languedoc-Roussillon is still one of the best ways to really discover our region. 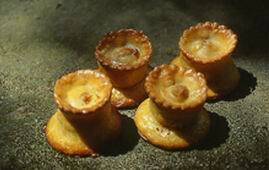 The excellent local chefs are keen to give you a taste of the real Languedoc-Roussillon. 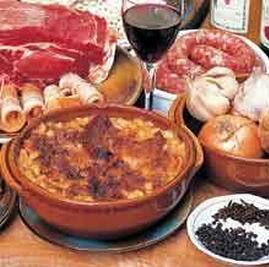 Cassoulet is one of the crowning glories of Languedoc’s cuisine. The basic ingredient is ‘lingot’ beans, which is mixed with confit d’oie (goose conserve), garlic, pork sausage and rind and sometimes partridge or mutton, depending on the local recipe and availability. The whole thing is slow-cooked in an earthenware pot or ‘cassole’. This dish, a speciality of the Aude, exists in a variety of forms from Narbonne to Castelnaudary, but Castelnaudary lays claim to the original recipe. Lord Clive, Governor of India, moved to Pézénas. His Indian chef gave a Pézénas pastry cook called Roucairol an unusual recipe for petits pâtés (small meat pies) whose reputation soon spread far and wide: a mixture of brown sugar, roast mutton and lemon zest enveloped in a thin layer of rich pastry, they should be eaten warm to appreciate their true flavour. 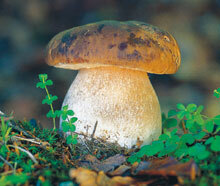 Cèpes and giroles mushrooms are traditionally sliced into small strips and browned in olive oil with garlic and parsley. - 80 000 to 85 000 tons of olive oil consumed in France. In Languedoc-Roussillon: 5278 companies with 575 500 olive trees and 18 production plants turn out 400 to 700 tons of olive oil a year, on average. This is small in relation to national production (2800 to 4200 tons of oil) and tiny compared with European production, which includes the enormous output from Spain. This variety is the major selling point of the region’s olive oil industry, and its hope for the future. Oil obtained cold by simple mechanical pressure and then decanted, cleared centrifugally or filtered. This is a natural product, pure juice of the fruit, healthy and balanced. - ‘Extra’ virgin olive oil: this is the best, with an absolutely perfect taste. It has a maximum acidity of 1 gram per 100. - Virgin olive oil: excellent, with a fine flavour: its acidity is a maximum of 2 grams per 100. - ‘Lamp grade’ virgin olive oil: poor quality. It was originally used for burning in lamps. Acidity >2°. The pressing method for extracting oil goes back more than 6000 years. After sorting, the olives are washed in cold water, then crushed along with their stones. The oily paste is then refined and made richer by mixing for 20-40 minutes, which allows the small oil droplets to combine into larger ones. The paste is then divided up into quantities of 5 to 6 kilos and placed on filter-like disks, piled one on top of the other. Hydraulic pressure is then used to extract the oil. This is called the ‘first cold pressing’ of virgin olive oil. The extracted oil is filtered by centrifugal force. Its appearance, taste and acidity are checked. Languedoc-Roussillon is a land of coastal plains, garrigue (Mediterranean scrubland), mountains, valleys and plateaux. The rich variety of the region’s landscapes has strongly influenced the architecture, lifestyle and culture of its people. The name of the region itself underlines its dual identity: Occitan and Catalan. The local culture is brought to life in carnivals and festivals, such as the traditional celebrations of the bull in the Camargue marshes (the ‘Bouvine’ festivals); the fishermen’s festivals at Gruissan, Sète and Bouzigues; and traditional maritime jousting tournaments at Sète and Mèze. Languedoc-Roussillon’s countryside is unspoiled and its coastline protected, but its historic and cultural riches are also stunning. The region is littered with historical monuments, abbeys and castles and boasts several UNESCO World Heritage sites: the Pont du Gard, the Canal du Midi, the medieval city of Carcassonne and the pilgrimage routes to Santiago de Compostela, which take in the abbey of Saint-Guilhem-le-Désert and the abbey church of Saint-Gilles. As a land of Mediterranean culture, Languedoc-Roussillon is characterised by its ‘art de vivre’ (the ‘art of living’) and is firmly attached to its traditions and customs.